Choristothyris plicata is a small brachiopod from the Late Cretaceous period measuring about ½ inch across and is common in some locations. 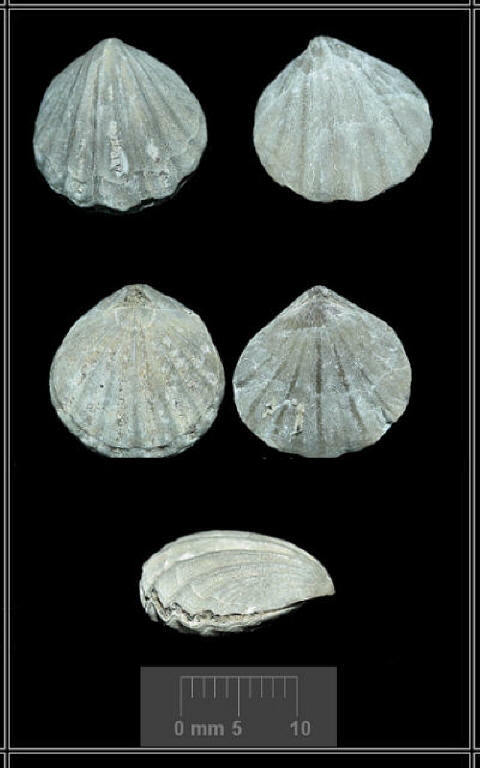 The majority of these brachiopods are found fully articulated. 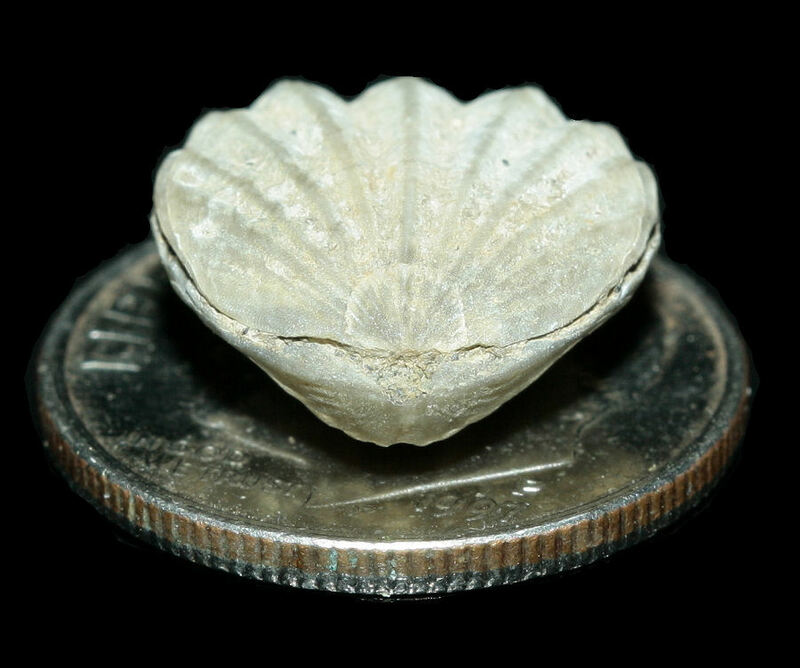 Brachiopods, or “lamp shells”, are actually made up of two different halves or valves, the pedicle valve and the brachial valve. When viewed on profile the brachiopod is not symmetrical. A very similar but much rarer species is Choristothyris vanuxemi, the main difference between the two species is the number of plications. C. plicata has between 8 to 12 while the number of plications on C. vanuxemi numbers between 15 to 23. 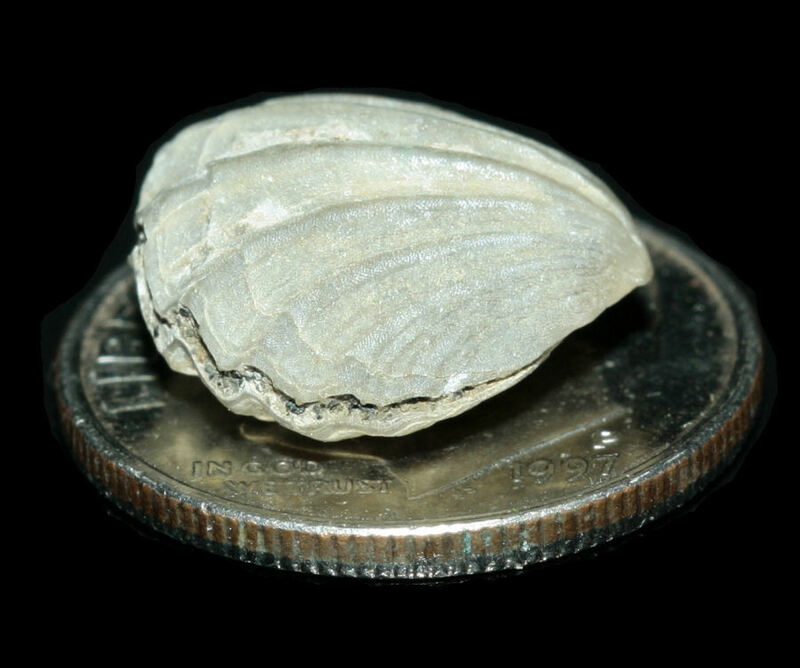 C. vanuxemi is the smaller of the two species with a much more convex pedicle valve. these in one location and only as internal molds.